OIC Front Loading Letter Tray - 2" x 10.75" x 13.62"
Stylish, functional front-loading tray works in any office environment. Design features smooth, rounded lines and a polished surface. 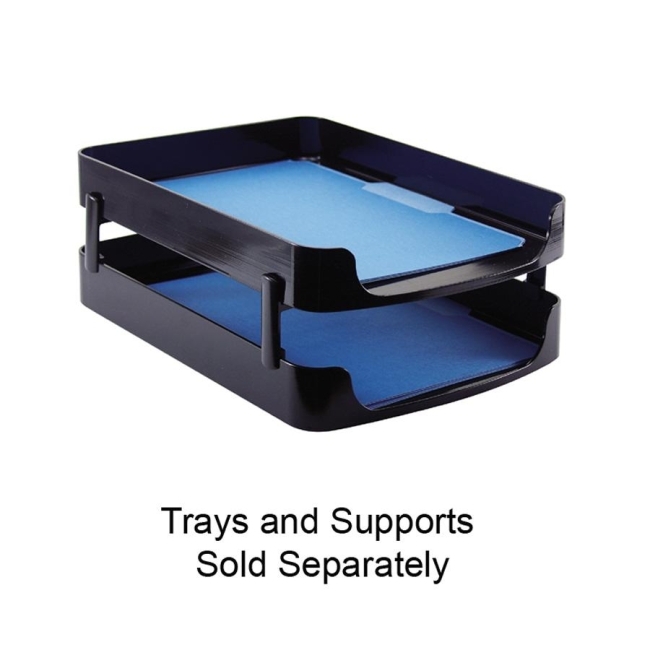 Front-loading tray may be used individually or with stacking supports (sold separately) for extra capacity.